Supported by a local Friends chapter known as The Garrison at Fort King George, this is the oldest English fort remaining on Georgia's coast. 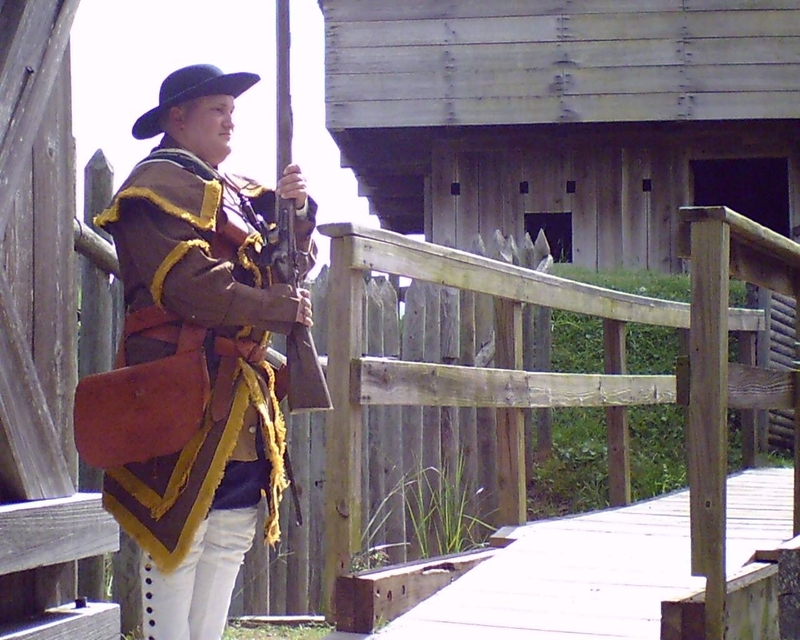 From 1721 until 1736, Fort King George was the southern outpost of the British Empire in North America. A cypress blockhouse, barracks and palisaded earthen fort were constructed in 1721 by scoutmen led by Colonel John “Tuscarora Jack” Barnwell. For the next seven years, His Majesty’s Independent Company garrisoned the fort. They endured incredible hardships from disease, threats of Spanish and Indian attacks, and the harsh, unfamiliar coastal environment. After the fort was abandoned, General James Oglethorpe brought Scottish Highlanders to the site in 1736. The settlement, called Darien, eventually became a foremost export center of lumber until 1925. Using old records and drawings, this 18th century frontier fortification on the Altamaha River has been reconstructed for public tours. Structures include a blockhouse, officers' quarters, barracks, a guardhouse, moat and palisades. A museum and film cover the Guale Indians, the Santo Domingo de Talaje mission, Fort King George, the Scots of Darien and 19th century sawmilling when Darien became a major seaport. In addition to the many fort buildings, remains of three sawmills and tabby ruins are still visible. This site is on the Colonial Coast Birding Trail. School field trips offer terrific hands-on learning as students are able to escape the classroom and experience hands-on learning. For many, school trips become unforgettable educational experiences, especially when experienced at a Georgia State Park. In fact, total emersion into the parks' ecology and history is perhaps the best way to experience these treasured placed! Member support and volunteer efforts are at the core of our mission. Are you interested in learning more about volunteering with us? Click Here To Become a Partner!